Hey, lovely! Summer is here – what better way to celebrate than with perfect curls?! Haven’t used a curling wand yet?! You’re missing out gorgeous! It makes curls so beautiful and natural-looking and holds for days! Hey lovelies! Didn’t get that hair styling wand you wanted for Christmas? I’m giving one of my lovely readers the chance to win the Chopstick Wand by Lee Stafford! This awesome skinny clipless hair wand has an extra skinny rectangular barrel so you can get the exact tight curls with a perfect grip! It heats up fast and can be tuned up to a whopping 450 degrees for lovely long-lasting curly hair results! The curling wand is also made with a ceramic coating to protect your hair and keep it looking super healthy, smooth, and silky too! This wand is fun and super easy to use! You can shop it Here on Amazon for just $39! Looking for some fab New Years Eve Party Styling tips? Use this lovely curling wand for tight beautiful curls with this gorgeous “Gold Party Dress” for a super chic NYE look! 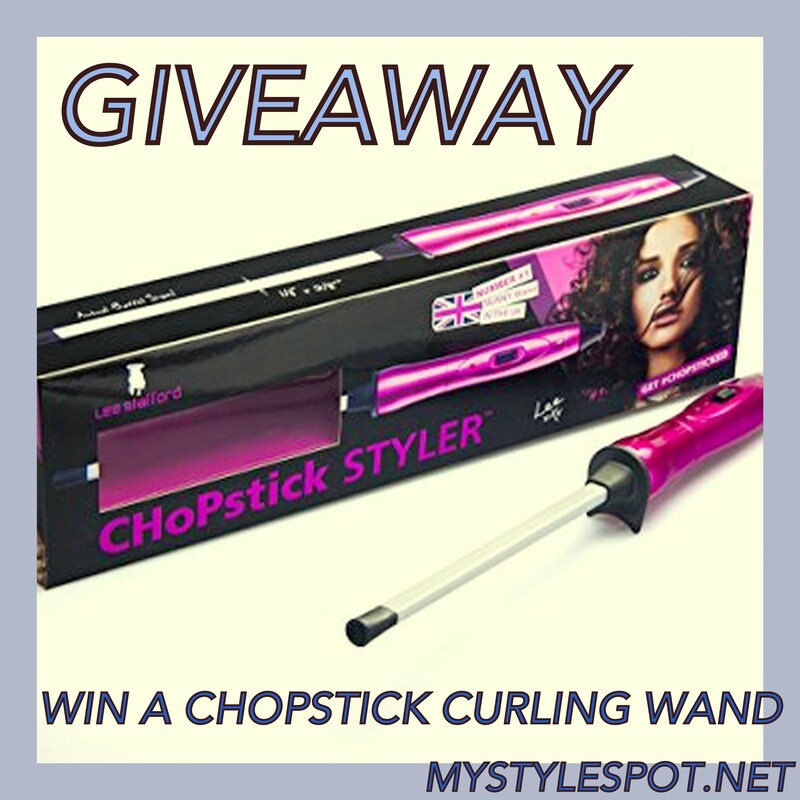 Enter to win The Chopstick Curling Wand in the gleam form below! NuMe is excited to announce this weekend’s flash sale offer in honor of Back To School: ANY of our curling wands can be purchased for only $29 (retail value of up to $149) when your readers purchase using the code ANYWANDS29. That’s less than 20% of the regular price! Because this is such a low price, it is available only for a short period of time! Hurry this deal ends at midnight on Sunday, 8/21.